Your home is one of the biggest investments you will make, and you want to make sure you are investing your time and money wisely. Our goal for any project is to create a home that adds value to your life and will hopefully increase in investment if you ever decide to sell. 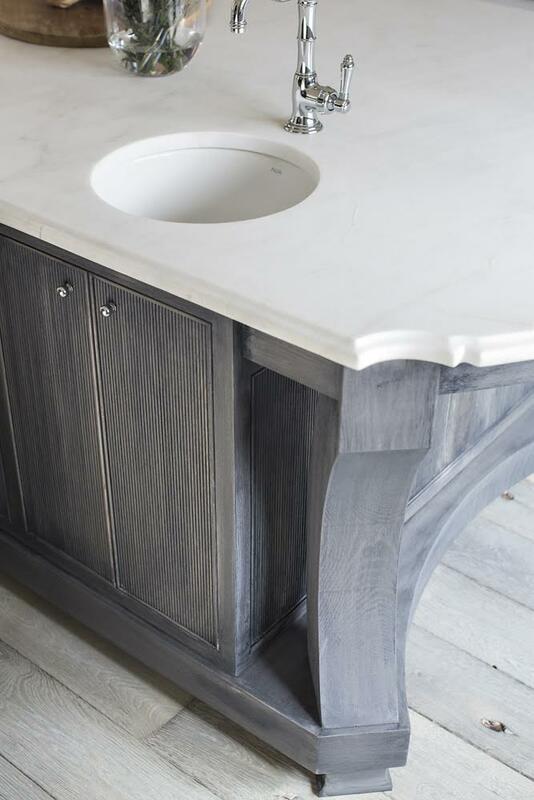 By sticking with classic materials such as natural stones and architectural elements that are in keeping with the type of home you have, you will create a home with a timeless feel that will support any style of furnishings you layer in. Are you contemplating purchasing a new sofa or reupholstering one you already own? Opt for a higher quality fabric with a high double-rub count and have it professionally treated. Taking these factors into consideration will pay off down the road when your furniture still looks fresh. The following pictures are projects of high-traffic spaces where we strategically selected fabrics based on how the room functions. From large and spacious to small and quaint, maximizing your square footage is imperative. As I wrote in a previous blog post here, we helped this large family transform their garage into a second family room to create some needed extra space. Your landscaping is the first impression people see as they approach your home. 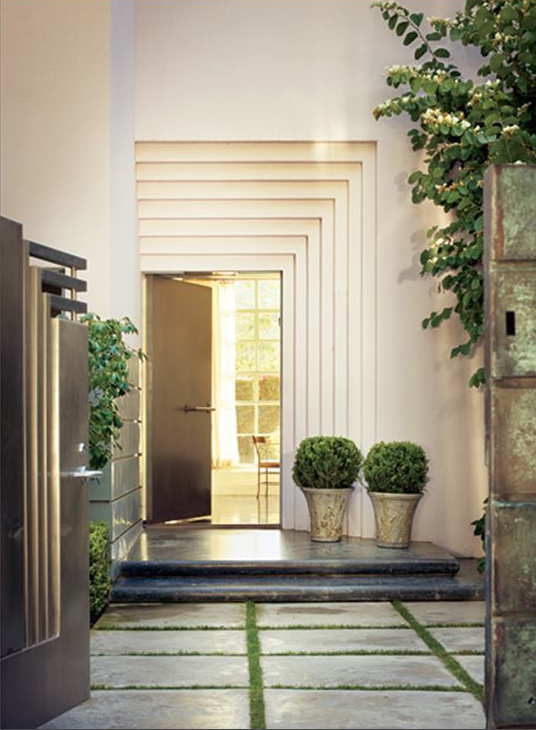 Allow the appearance of your home’s exterior to catch your guests at the door with a few simple and effective ways. For example, keep your sidewalks and porches cleanly swept so leaves and cobwebs don’t accumulate. I also like to have the mulch in our yard freshened up twice a year (in the fall and spring). You will be shocked with how this truly makes your shrubs and trees pop. Lastly, keep the edging of your grass clean and crisp so its not encroaching in areas it shouldn’t. Updating your kitchen or an out-dated bathroom are both places where you can add value to your home. Not only for re-sale purposes, but also in terms of function for you and your family. We designed this client’s kitchen to suit their needs in a new build. As empty-nesters, they didn’t want a large breakfast room because they enjoy eating everyday meals around an island. With emphasis on the island design and function, we added counter stools and a table-like feel as a perfect solution for ‘island dining’. 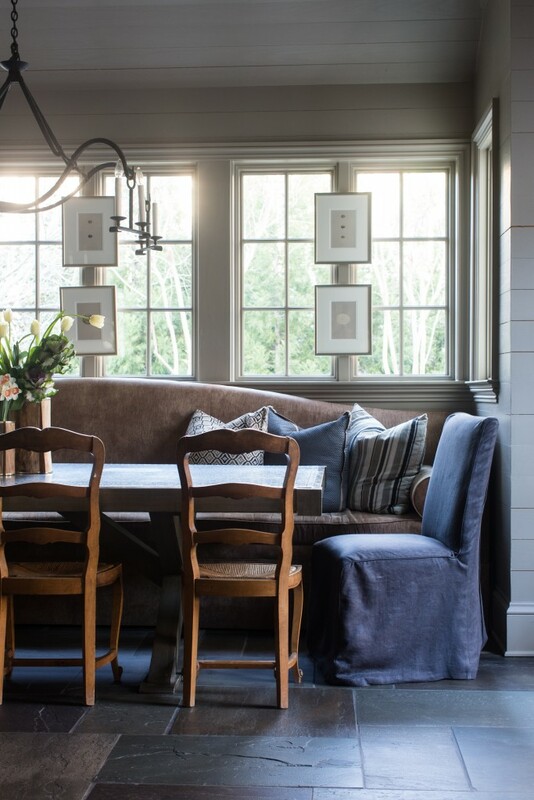 Another great way to maximize space in a kitchen is to incorporate banquette-style seating with your breakfast room table. I hope you find these five ways to invest in your home helpful and that they guide you to wisely invest in the space you call home. Let me know what you think. Many of my projects are older homes that haven’t been updated yet to best fit the needs of today’s modern family. A lot of these homes have unused, outdated built-ins, and I thought it would be fun to look at a few ways I have recreated this type of space. It’s amazing what a little thought and creativity can do to update and make a space work for you. 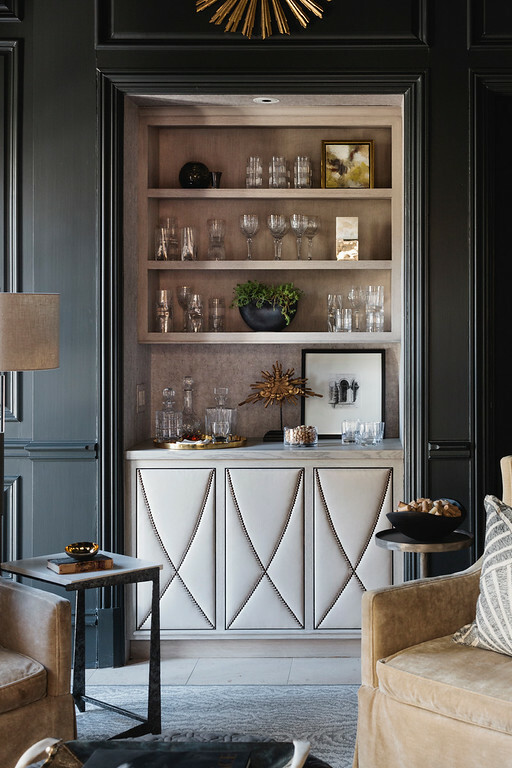 We thickened the wall opening into the room so the new cabinetry reads more as a true built-in. I made the depth for this custom cabinet less in the middle (the doors slide open to reveal a flat screen tv ) while the side cabinets hold 13″ deep bookcases to personalize the space. In one of my other projects, the sitting room had a deep, built-in computer desk. The desk wasn’t being used anymore and the room was pretty much just a walk-through space. We decided to give this room a purpose by making it the husband’s sitting room, fitted with a bar and his own personal television. What about your home? Do you have wasted, useable space hidden in your old built-ins? With the start of a new year (and being home for three weeks after my surgery), I found myself looking for ways to improve how my home works for my busy family. 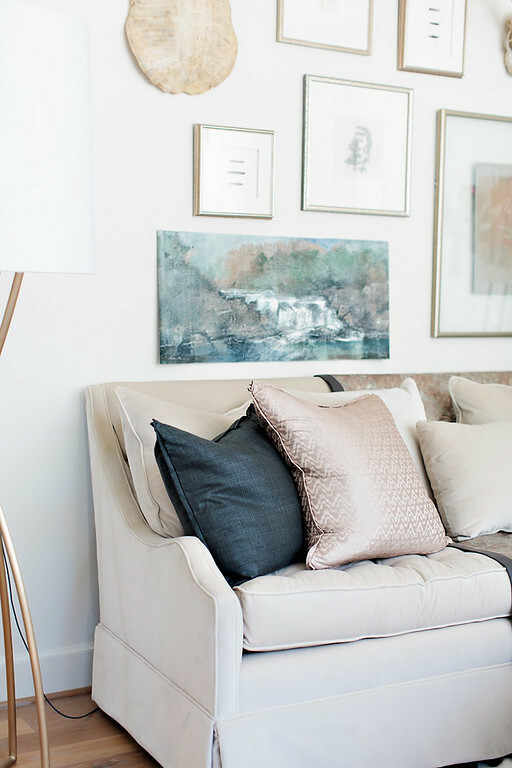 Ways to accentuate living well in my home. 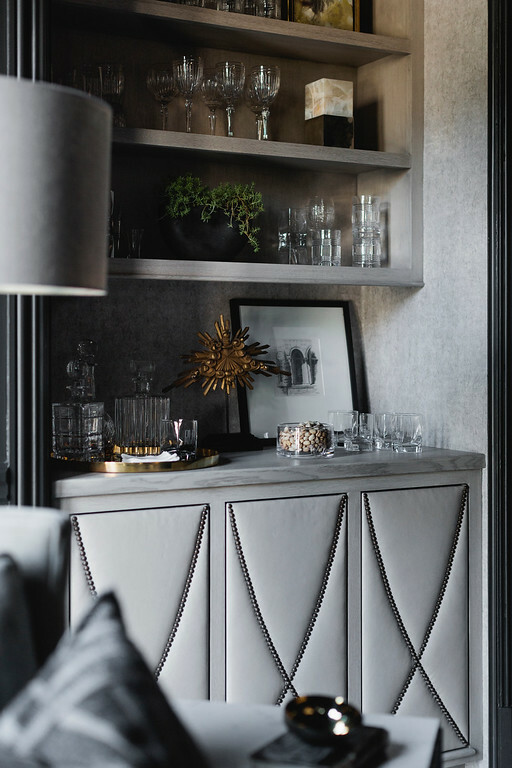 And while my to-do list grew quite long (turning my old office into a lounge space for me is near the top), I thought I would share a few easy ways to improve a home and hopefully your quality of life. 1. 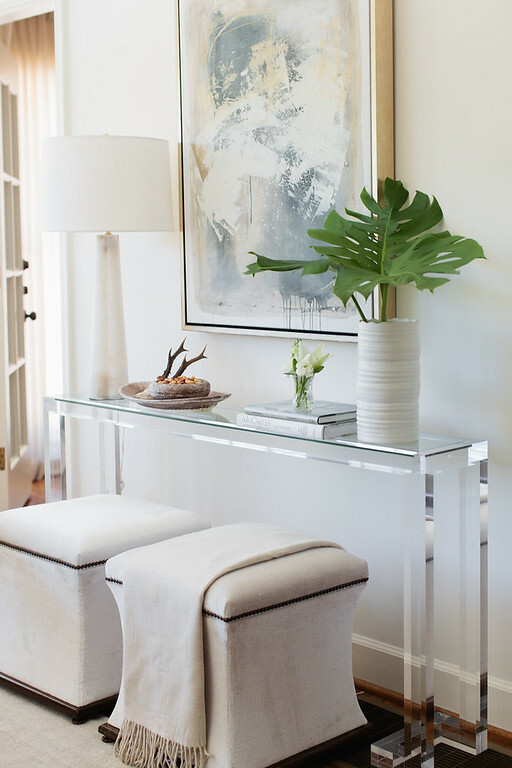 Paint a room – Nothing reinvigorates a space more than a fresh coat of paint. Paint fades and dulls slowly over time, requiring some TLC after numerous years of no attention. I suggest repainting the ceiling and trim at the same time because once the walls are repainted, the ceiling and trim will be noticeably dull. 2. Bring the outdoors in – With all of this cold weather we’ve had lately, cut a few branches from your yard to add some greenery and life into your home. Winding branches make such a dramatic yet effortless statement that don’t need to be maintained like orchids or other flowers. The texture and scale that branches contribute to a space will add a beautiful layer to your existing design, AND it doesn’t cost a dime. It may not be summer, yet, but we can pretend it is almost here. 3. 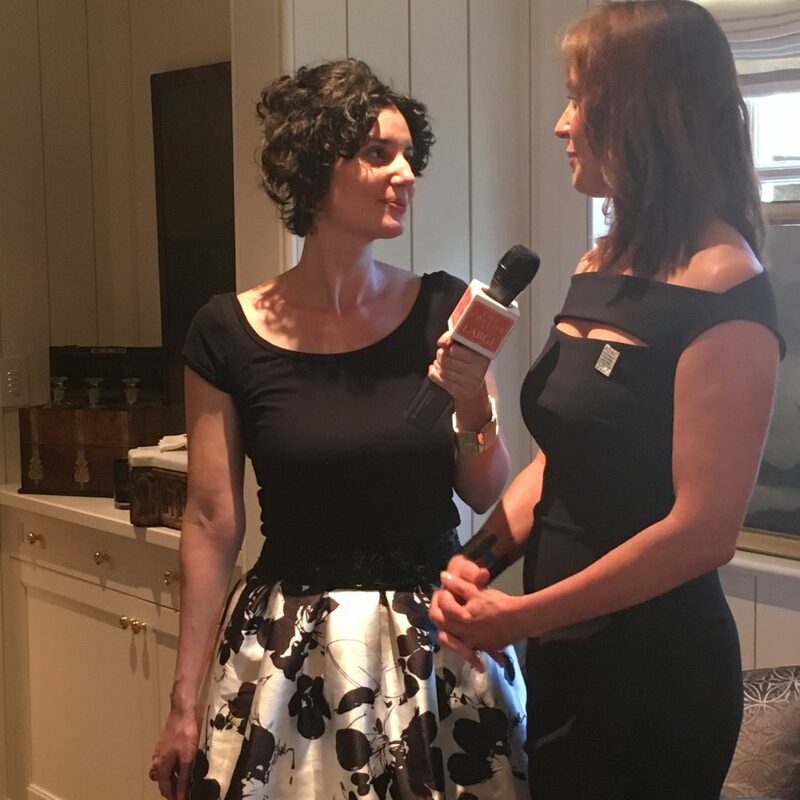 Closet consistency – How often do you stand in your closet thinking you have nothing to wear? The problem may lie in the fact that you can’t see half of what you own. I recently tossed every single hanger in the house and switched to clear plastic hangers for me and color coordinated ones for my girls (and when they go back to school, the specific hanger goes with them). They come in several colors and the key is to buy each person their own color. Not only do these slim hangers take up less space in your closet, but they look nice and clean. I pulled out a few things to give away, but the consistency in the hangers and hanging clothes by color and type made all the difference in the world. I’ve found myself spending less time figuring out what to wear because of this simple, esthetically-pleasing change. 4. 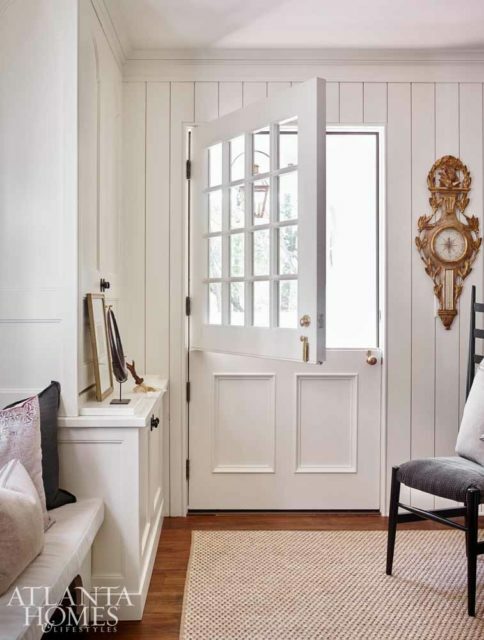 Make a list of projects you want to accomplish – January is a great time to make a punch list of things you’ve been wanting to do around your home. I try to group alike tasks together and make a goal to complete a few each month. For example, a client just contacted me about designing her Screened-In Porch so it would be completely ready for entertaining in the summer. We’ve done almost all of the other rooms in the house and this room was always put on the back burner. 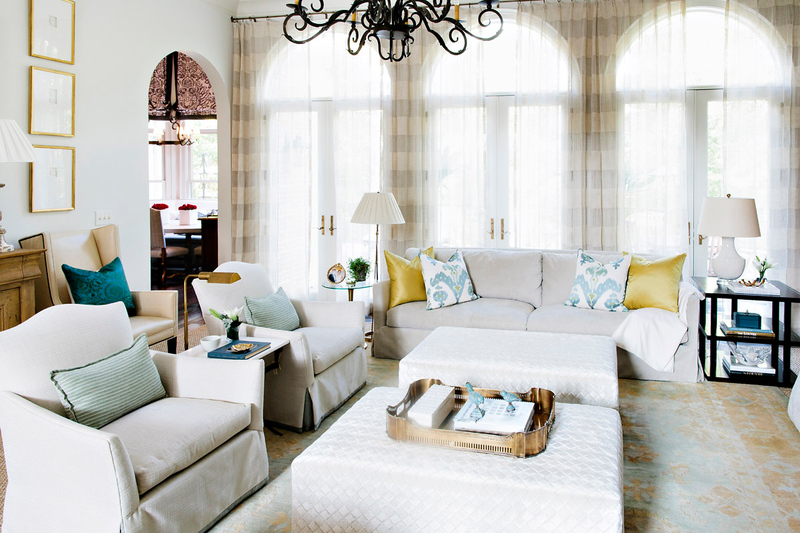 On a smaller scale, maybe you have been wanting to switch out some of your light fixtures that are beginning to look dated or replace a Living Room sofa that has seen better days – add these to your master punch list and begin putting effort in getting them accomplished. What will it take for you to live well, or should I say, live better, in your own home? Take a few minutes and think about it. I bet the answer is not far away. With two of my girls off at college and my last one with a little over a year before she leaves, I find my house starting to feel a little too big. I love my location in Mountain Brook, AL, and my home that I put so much of myself into, but I hate the idea of unused space. I realize this is probably not my last house. And like my empty nest clients, my next home will be one that will need to carry us through the final stage of life, and I realize my needs as an empty nester will be different than those of someone with children living at home. 1. Not all of your furniture will fit in a scaled down home. This is a great time to think about the pieces your truly love and have meaning to you. Practice living well in this new home by simplifying, downsizing and surrounding yourself only with things you love and use. 2. Your children may not want your discards. Newsflash….When you are cleaning out, chances are that if you don’t want Aunt Susie’s favorite chair, your children may not either. Give them the gift of deciding what they would like to bring into their home without the pressure of keeping a family piece. When it is time, savor the memories and let go. 3. Customize this home to you. Life is short and life is meant for living well. 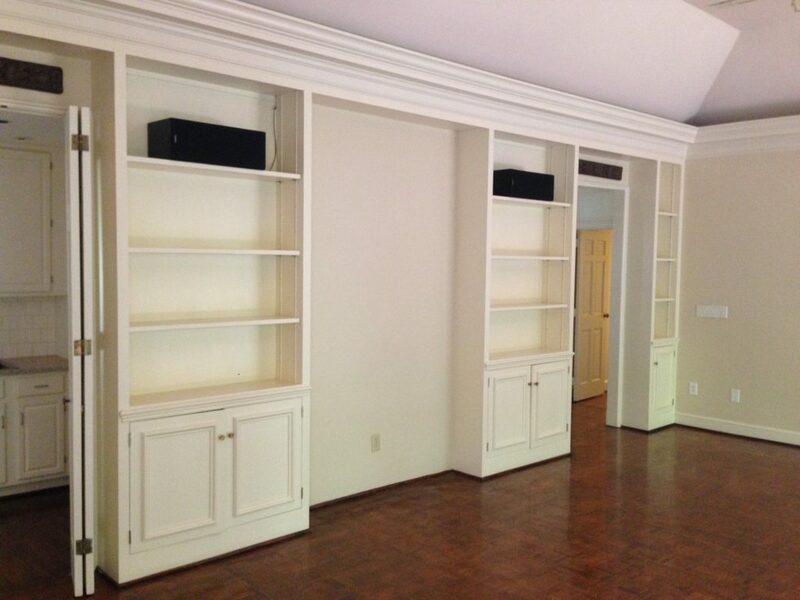 If you have always wanted a large storage closet for your china and silver, build it. Surround yourself and customize your home to what brings you joy. And while your space may be smaller, this is a great time to upgrade your finishes and details. Thought out touches add value to your home and to your life. For instance, the home below was for my empty nest clients. They did not want a breakfast room because they like to eat everyday meals around an island. 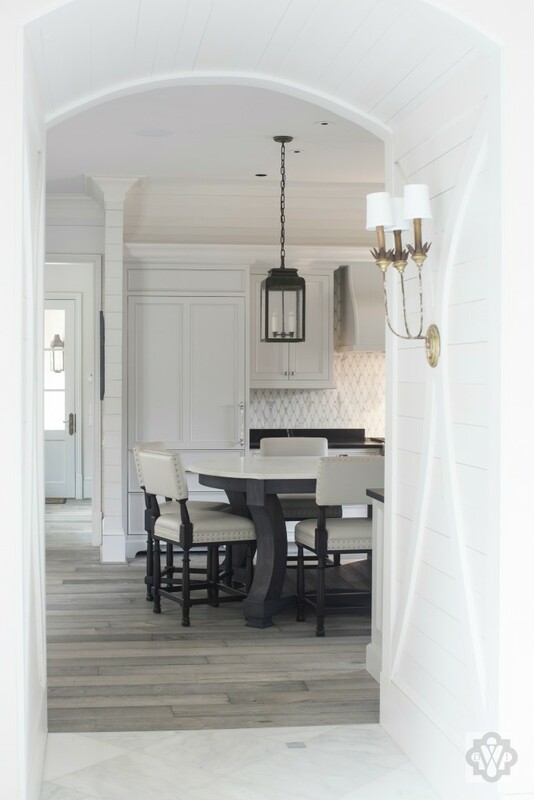 I wanted them to really enjoy their kitchen and especially their island, so we focused on making the space unique and extra special for them. 4. Create dual purpose rooms. While you may not have children and grandchildren visit every day, you want them to feel welcome when they do. If your new home doesn’t allow for enough extra bedrooms, think dual rooms, such as an office or sitting room with a bed or pullout sofa in it. For instance, we turned this garage into a playroom because my clients needed extra space for watching tv when all of their grown children are home. We added an extra long sofa that has a pullout sofa for family visits. Just because you give up square footage when downsizing does not mean you should ever give up entertaining or hosting overnight guests. 5. Think Long Term. While you may be healthy now and still running marathons every few months, your forever home may need to transition one day to the later stages of life. What will that mean for you? It may mean a master on the main or an elevator for upstairs’ access, limited stairs where possible, and a shower and tub that are easy to get in and out. So here’s to living well in your home and making it unique to you. Life is about surrounding yourself with people and memories you love and enjoy. If we can help you create the home of your dreams, email us here. I’d love to discuss with you. 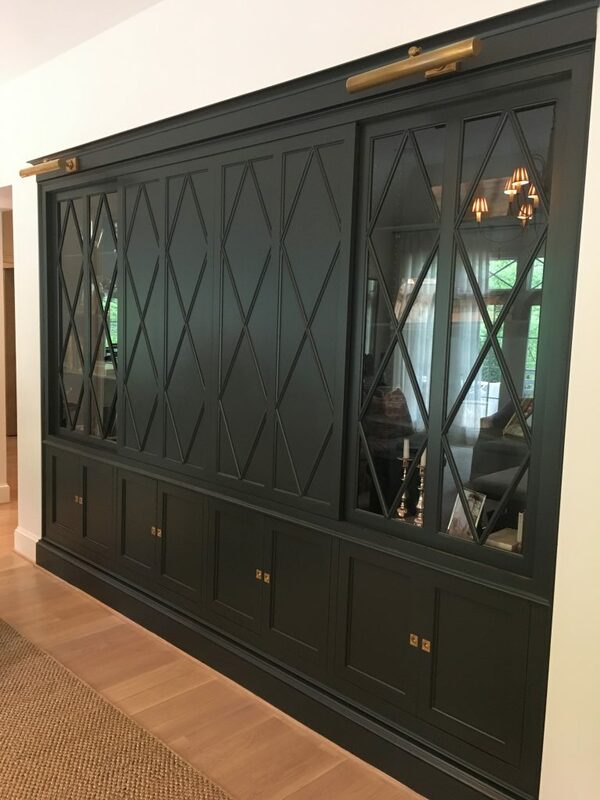 We were recently asked by Atlanta Homes and Lifestyles to design the Mudroom for the 2017 Southeastern Designer Showhouse. Our goal was to create a livable, functional space the family will use on a regular basis. As you read here, it was important the room blend into the rest of this gorgeous home. 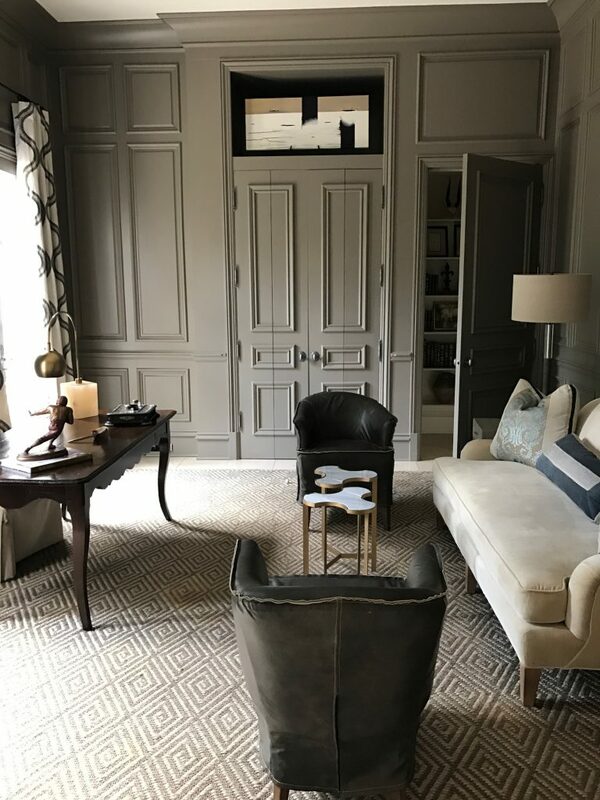 The YouTube video of the showhouse was recently released, and I thought you might like to see our thoughts behind the spaces we created for this stunning home. Click here to view. 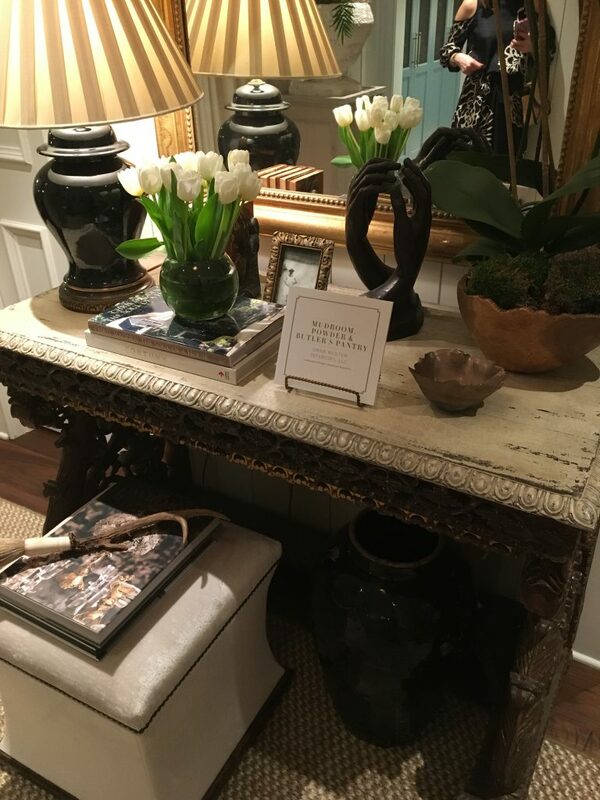 The foyer is the first impression of your home when someone walks in, so it needs to make a good one. 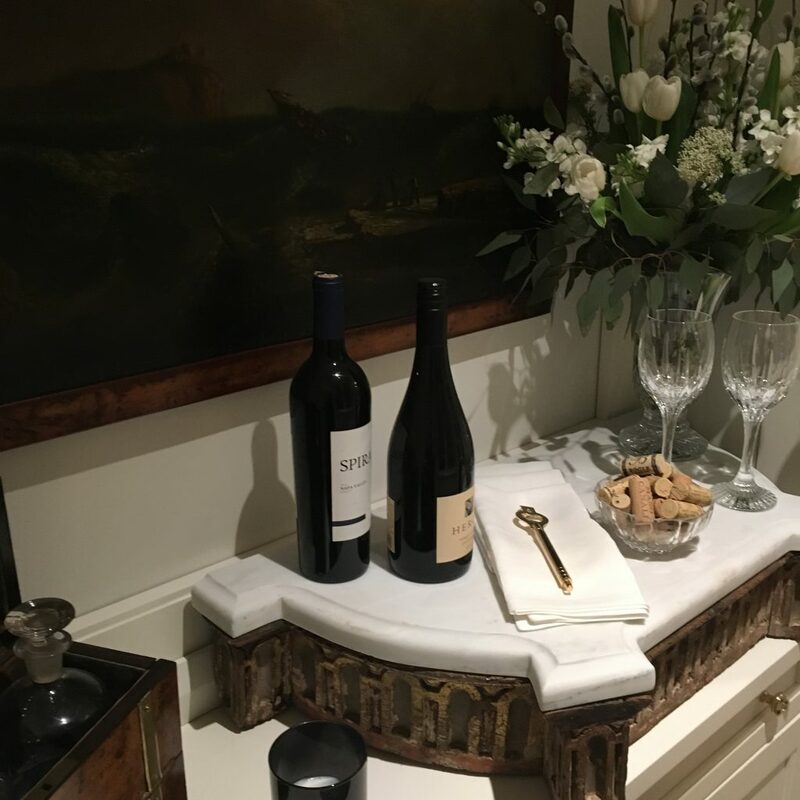 After all, whether family or a visitor, you want guests to feel welcome. We recently began working on the foyer of a current project. 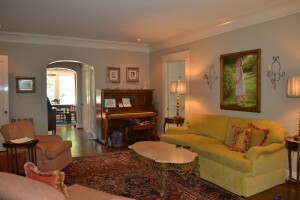 It is a beautiful home and while we have finished up several rooms in the house, we are now focusing in on this space. As I was assessing the best way to soften this room and make it look like the family has lived there for some time, I thought I would share some tricks with you. 1. 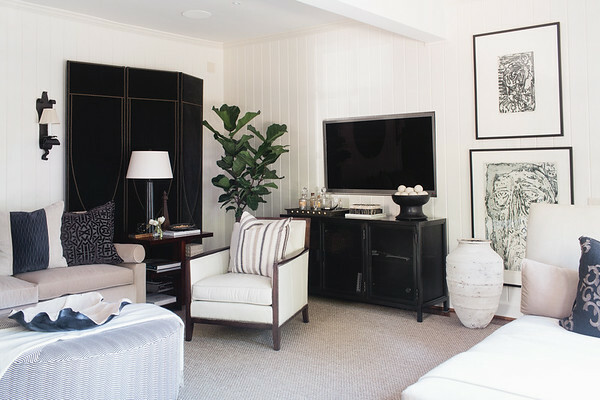 Add a piece of furniture and or seating (preferably something with fabric) to soften the space. 2. 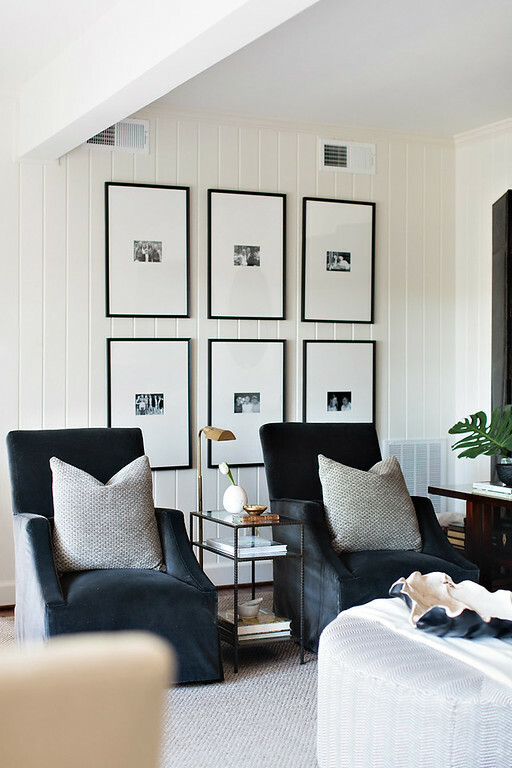 Make the space personal- Add your favorite piece of artwork, a frame with a family photo, etc…. 3. Make the space useful- Depending on the size, create a place to sit to put your shoes on, or at the very least, add a tray to catch your keys. 4. Include something fresh such as flowers or a plant. 5. 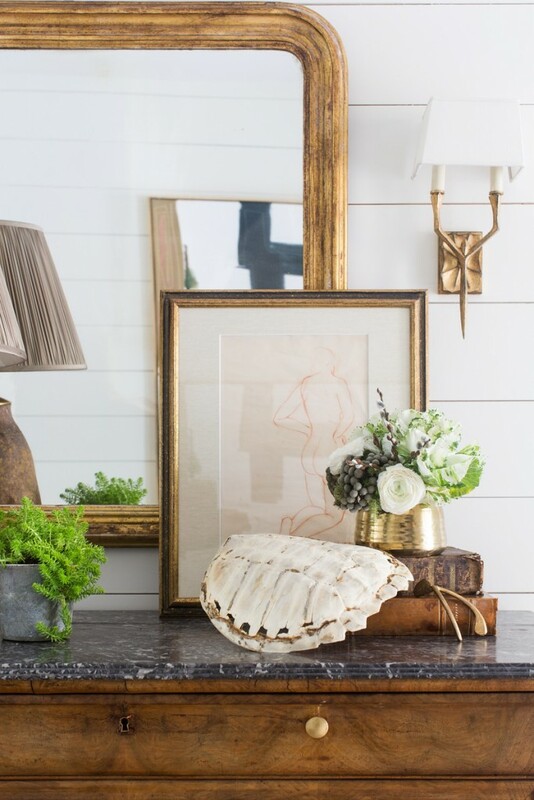 Layer the space with accessories to create dimension and to make it look like it has been collected over time. Below is a video I shot a few years back with Wendy Garner talking about how to transform this overlooked space. 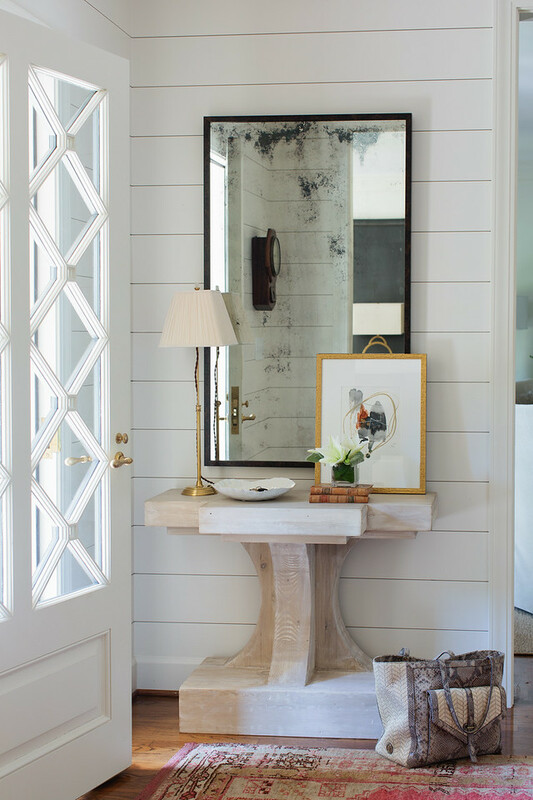 Click here to watch for a few more tips for your foyer. 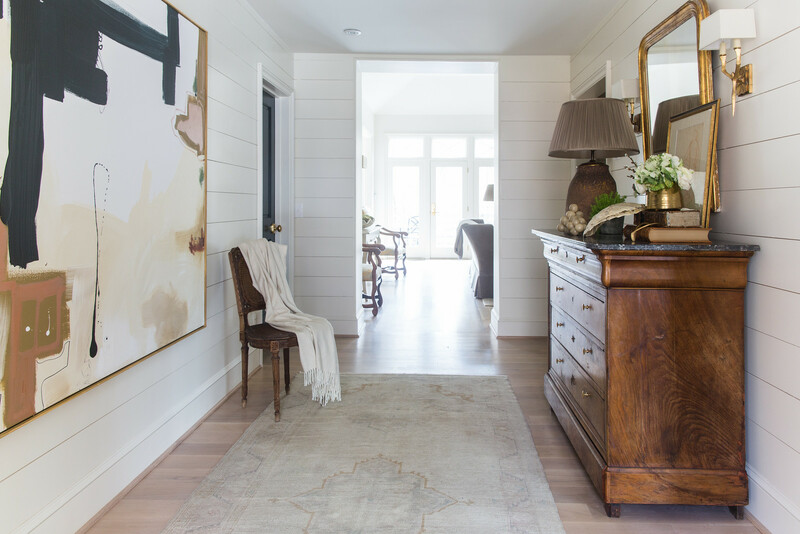 So, what does your foyer say about your home? Does it set the tone and catch your eye, or is it a “catch-all” area you want to hurry your guests through? Have a great day, everyone, and here’s to your foyer making a good first impression. A few recent projects have been for families downsizing to smaller homes. And while moving to a home you are excited about can be a blessing, it can sometimes be difficult to lose square footage. It’s amazing all of the stuff we accumulate over the years. I feel like I am constantly cleaning out my house and I try to watch what comes in. 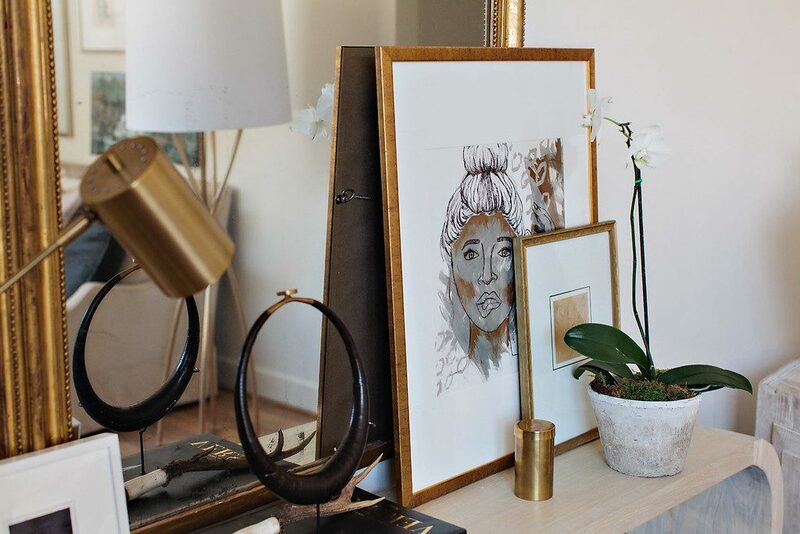 How to make the most of small spaces can sometimes be overwhelming , so I thought I would give six helpful tips to #LivingWell in a smaller home. 1. Clean Out and Keep Only What You Love Or Will Use. Simple enough- Do you love it or use it? If not, get rid of it. No more storing things you “might” need in the future or because you feel guilty getting rid of them. 2. Are There Pieces That Can Be Repurposed? 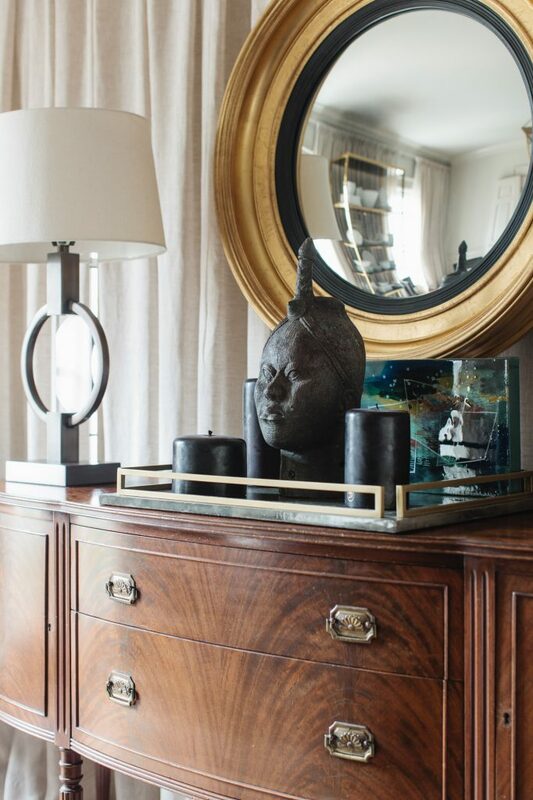 If there is a piece you LOVE but don’t have a place for it, can it be reworked for extra storage? 3. Look Above And Below. 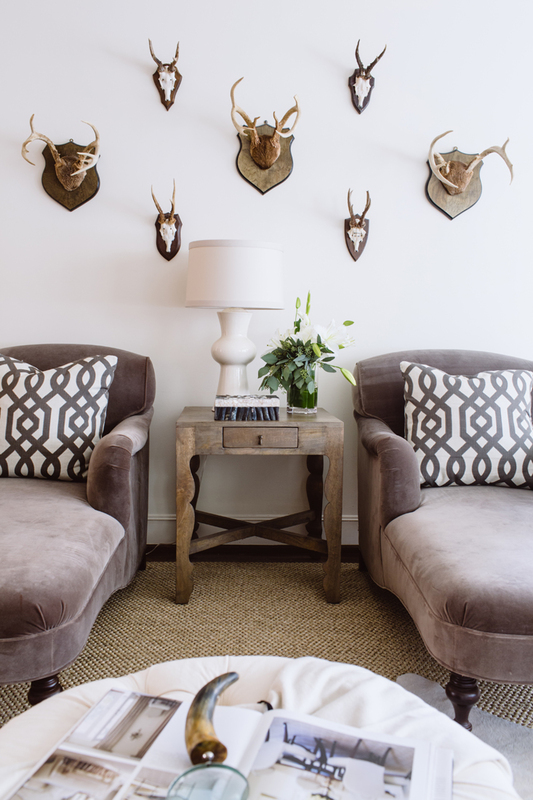 Look for ways to hide storage, such as using ottomans that open up, raising a bed a few inches to create more space underneath, or adding built-in seating with drawers underneath. 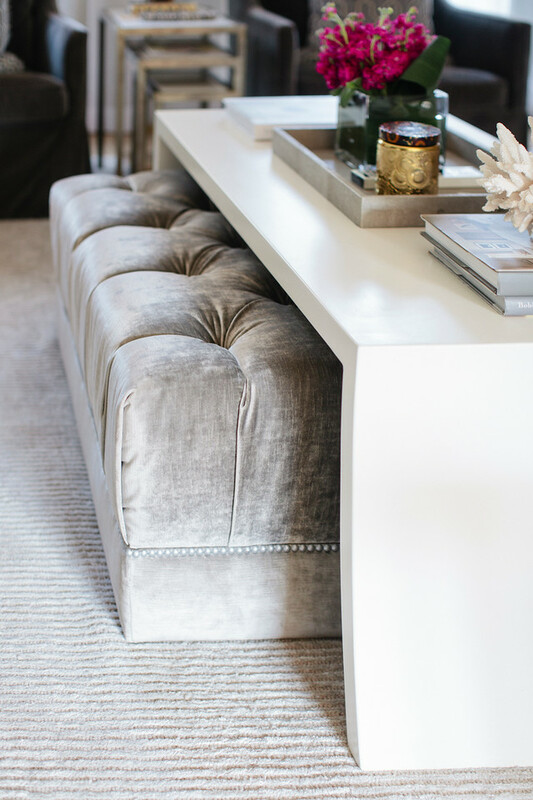 I also love adding ottomans under an open console or coffee table- not only to work as a layering piece but as an extra seat that can be pulled out if needed. 4. Simplify- When Looking At Your Stuff, Give Away The Extras Of The Same Items. After all, you might need a few extra sets of sheets, but do you need five sets for the same bed? No- so give away to someone who can use them. 5. 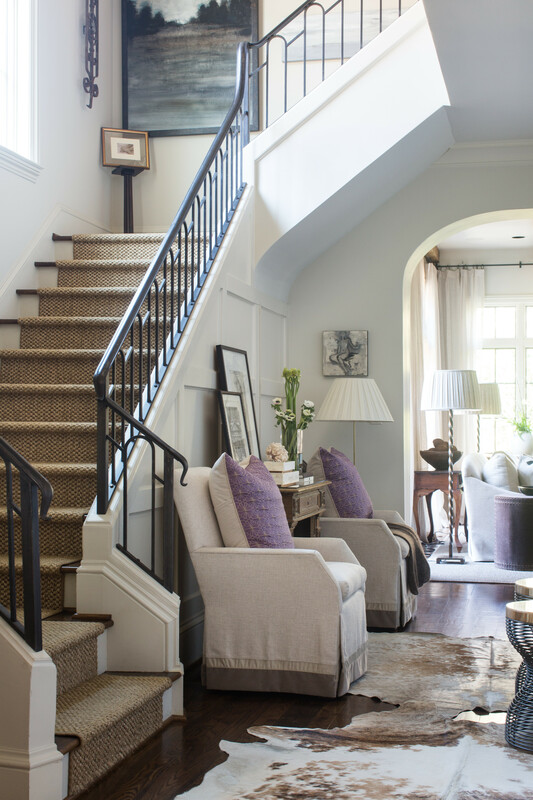 Think Long And Hard How Your Home Needs To Work For You and Delegate A Function For Every Room Or Unused Corner. There is something refreshing about simplifying your life and surroundings. But with smaller homes, you need to think long and hard ahead of time to make sure the new home functions like it needs to for you. 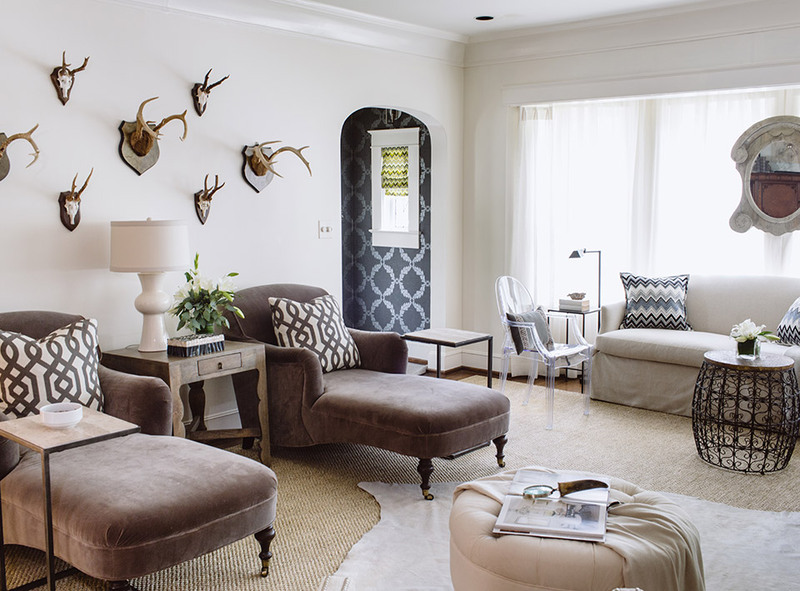 If you see an extra corner, could you add a chair and floor lamp for an extra place to sit? Or a custom banquette to create more seating around a breakfast table? If working on a new build or renovation, hire a designer before the plans are drawn. An extra set of eyes for how your family will live in the house is invaluable. Every square inch needs to work hard so you can have the pretty with a purpose. 6. Let Go Of The Guilt. I hate to be the bearer of bad news, but it is hard to get your money out of furniture and rugs (and even some antiques) when selling. Just know this is the case and let go of the pieces…. Do not hold onto stuff for any reason other than you love it. #LivingWell isn’t necessarily about having the best of everything- It’s about surrounding yourself with a home that brings you joy. A place you love to make memories with family and friends. 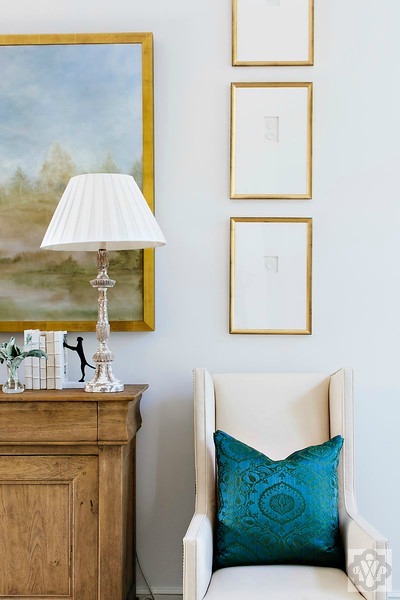 Downsizing can be a blessing if you allow it, as it is a way to lighten your connection to material “stuff” and create spaces that are customized and truly special to you. 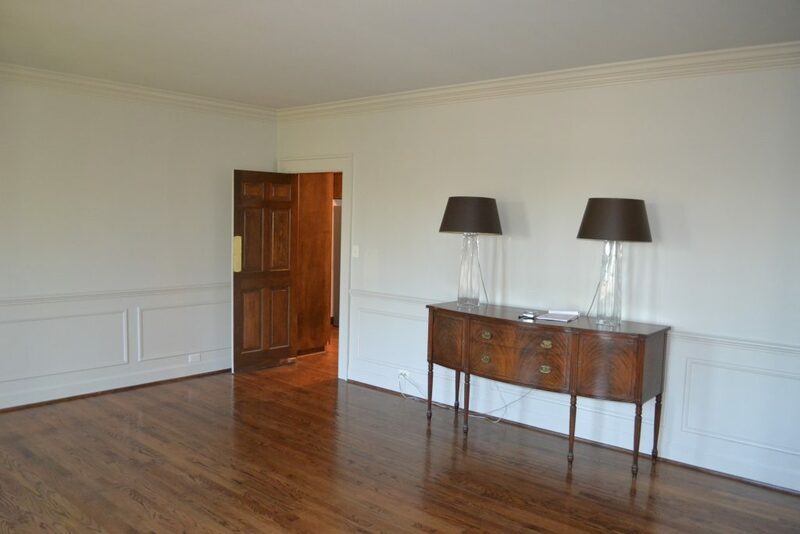 A client reached out to us about helping them with a few rooms in their newly purchased home. One of the rooms they commissioned with us was the Dining Room. The house is a typical 80s style house on a stately lot, and I wanted to add a little edge and detail through the interiors. 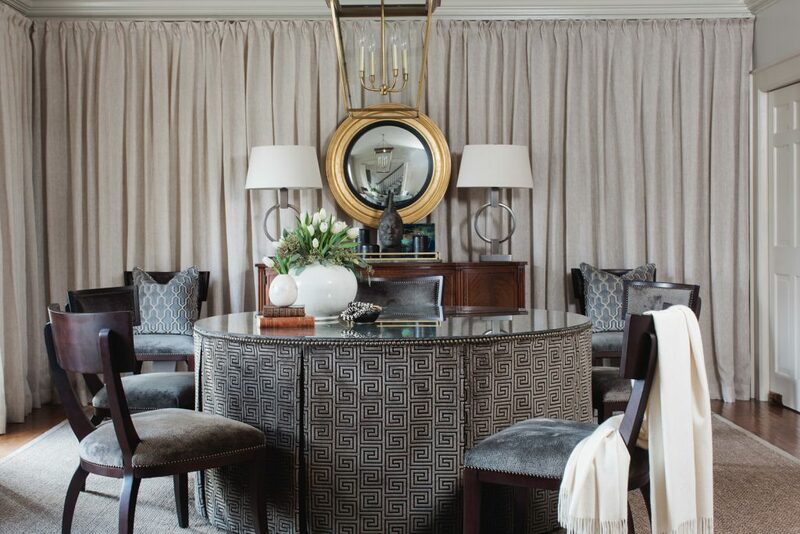 A Dining Room is often nondescript, making it important to layer so it feels soft- and special. We kept the wall color and her buffet, but everything else was a clean slate. The goal was to make it feel warm, casual, and dramatic. Maybe it was the mood I was in, but Cocoon was the word that kept coming to mind. 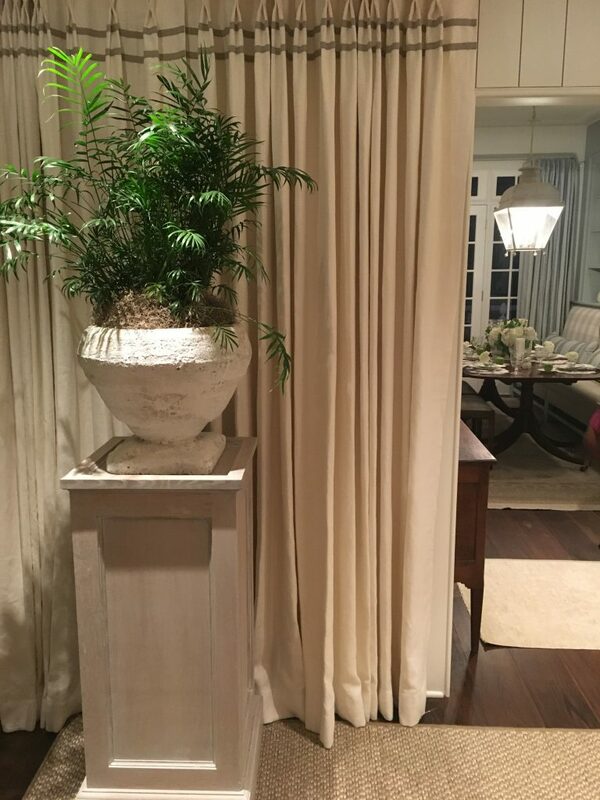 We decided to drape two of the walls in the room with a sheer that blended into her newly painted walls. 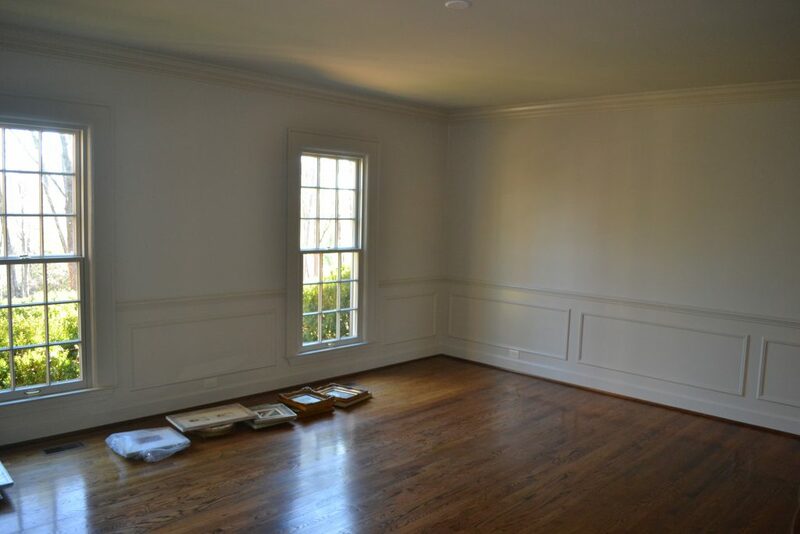 I wanted this room to draw you in, just as a Dining Room should. 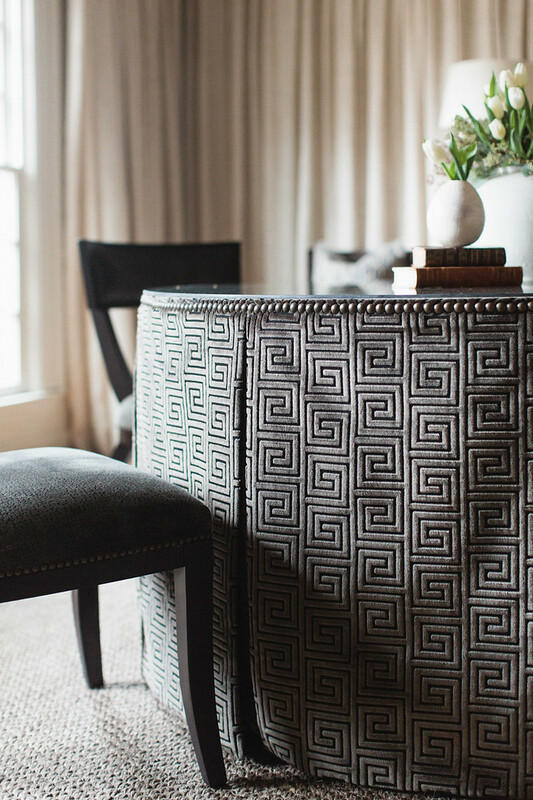 I went with an upholstered table to add a little more drama and softness in the space. I also love the touches of black and gold throughout. After adding a table as big as the room could hold for maximum seating, there was room for a piece of furniture between the windows, but we had to watch its depth. I decided to go with an Etagere to give her a place to stack her china, crystal, and serving pieces. Who says these type of pieces have to stay hidden in a cabinet or drawer? 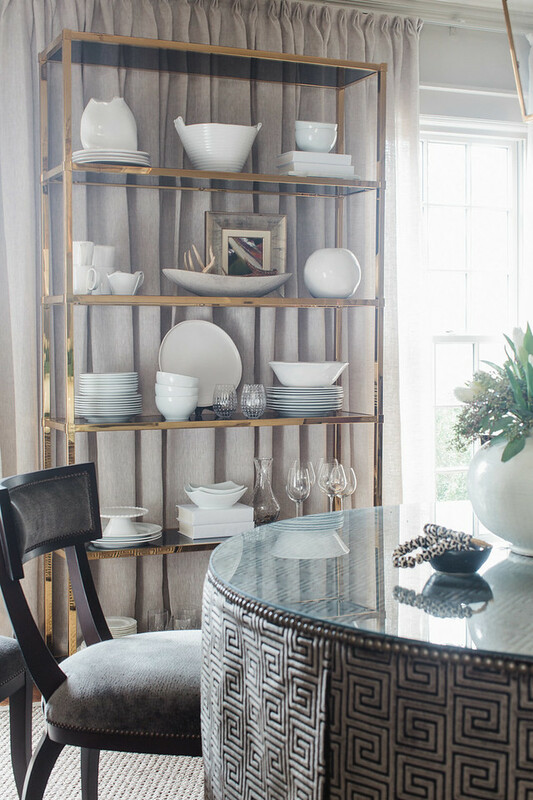 The Etagere added a little more of a casual feel to a typically formal space, and it will look better and better the more pieces are added to it. So here’s to making your home feel like a cocoon; warm, inviting, and a reflection of you. If we can help you turn your house into a home you love, email us here. We would love to hear from you. I fell off the blog post train the past few weeks, as I have been living on the road and out of a suitcase. We have been pretty busy with current projects, and with being out of town, my blog writing, the dog grooming appointments, and the cleanliness of my own house have fallen by the wayside. Here is a glimpse into what has been going on with us……. 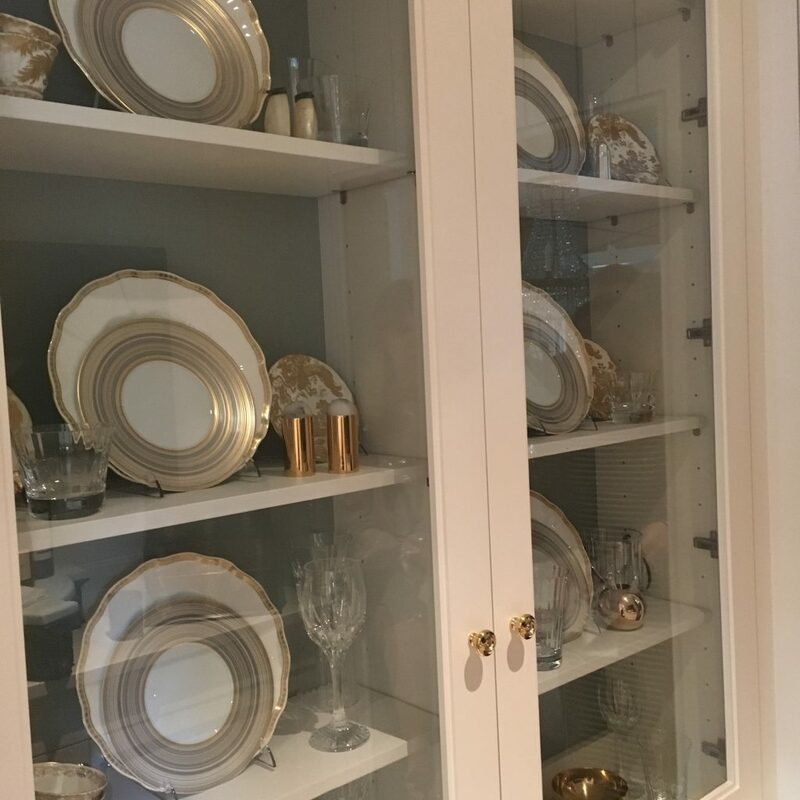 As I wrote here a few weeks ago, I was asked to participate in the Atlanta Home’s and Lifestyle’s Southeastern Showhouse in Atlanta, GA.
We spent two days in Atlanta installing the Mudroom, Mudroom Powder, and the Butler’s Pantry. Though it poured as we moved in, we had a blast. 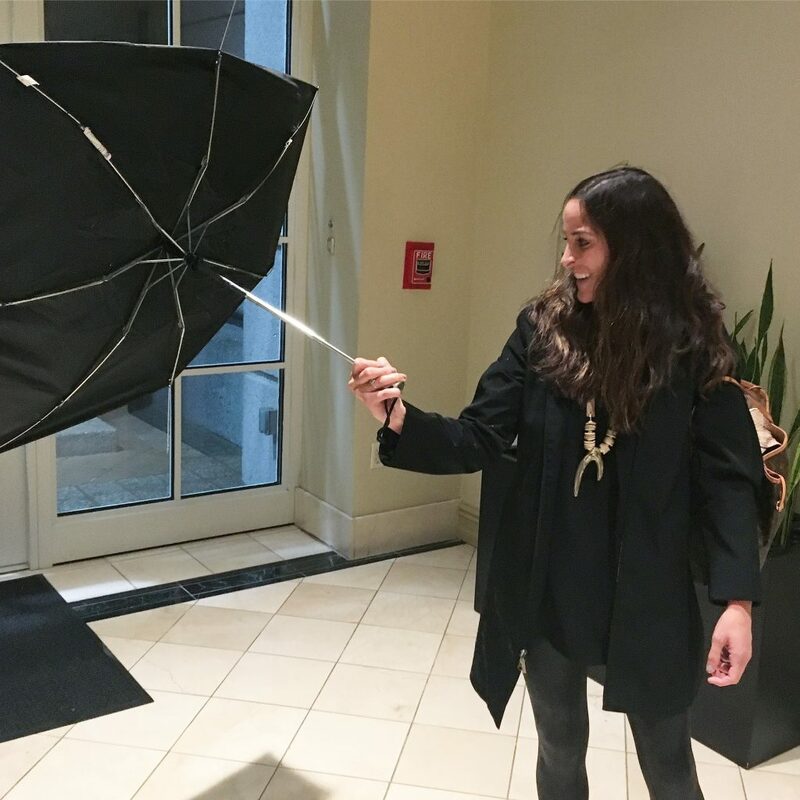 Abbey at odds with the umbrella, and I think the umbrella may have won…. My goal was to make these small, but important rooms, feel true to the home. The house is beautiful and extremely traditional. Our rooms needed to blend into the architecture, but not at the cost of being boring. I wanted to create spaces that are functional- a place to catch your keys, use the desk behind the cabinet doors, etc. Here are a few pictures of our spaces for you to see. Drapery panel covering a nondescript closet door. 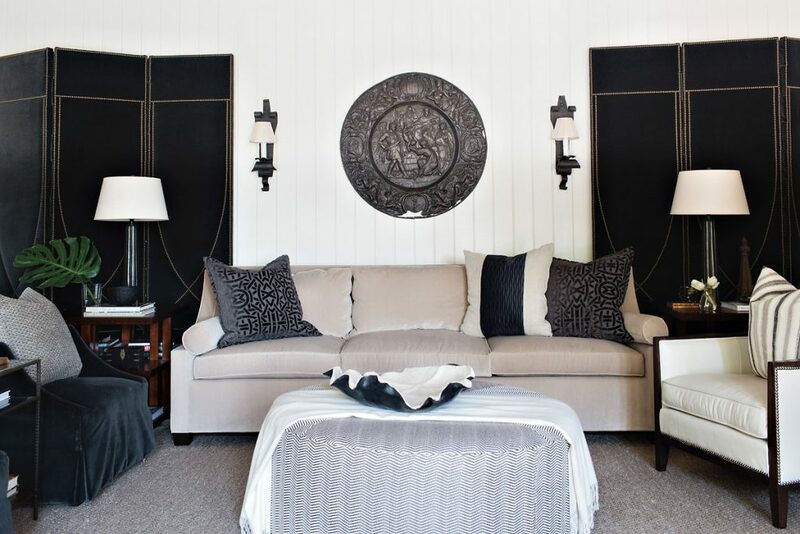 It also adds softness to the room while balancing the opposite wall. I love the Tantalus and oil painting below from Parc Monceau. If you haven’t been to their shop in Buckhead, you need to stop by. The Plateau is an architectural fragment I found at an antique store, and I had my marble guy cut a piece of Alabama White for the top. It’s one of my favorite serving pieces in my own home. The Showhouse closes May 14th so be sure to catch it. 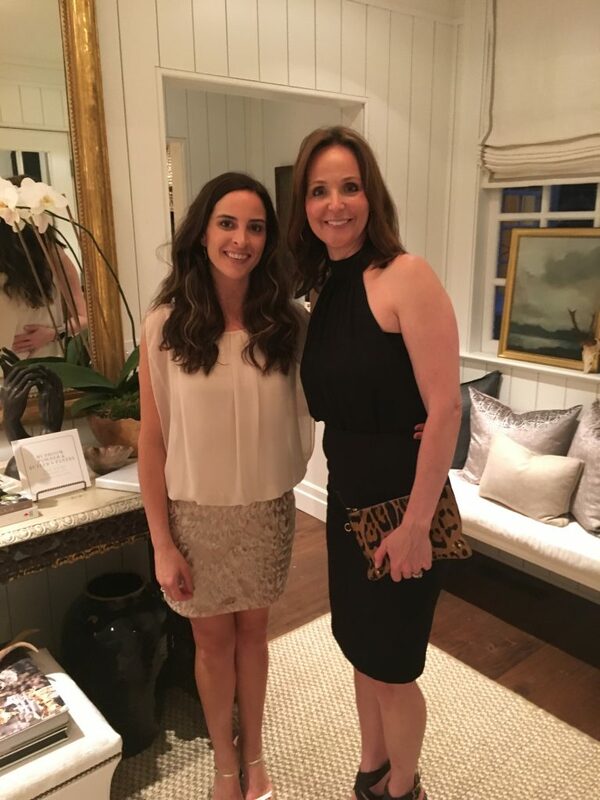 After we installed our rooms, I vacationed in Miami for a few days with two of my girls. It was Lucy’s Spring Break, so we took a few days to get away. Feeling the sun on your back, and your toes in the sand, does a person good. I came back Tuesday from Miami and left Wednesday for the opening of the show. Abbey went with me and we had a blast. It was back to work for a day while I was back in Birmingham, AL. 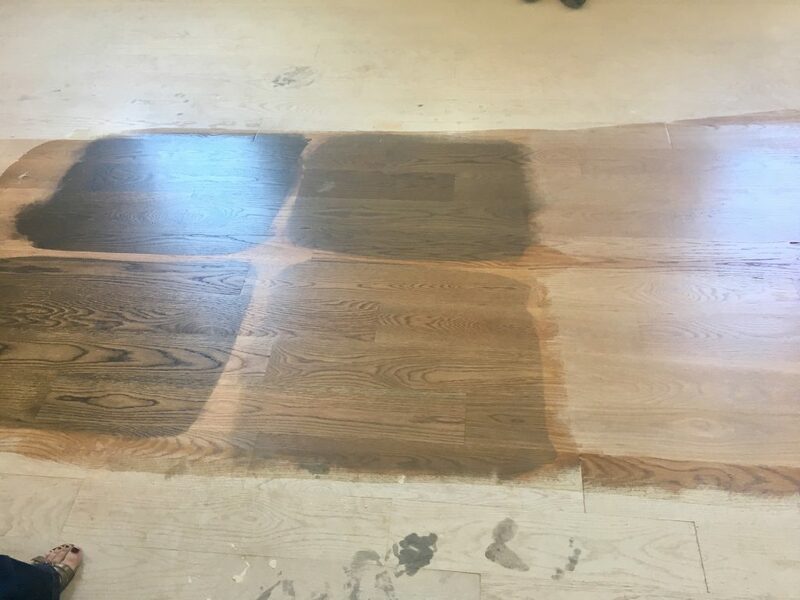 We had a site visit to select hardwood floor color, and we also began working on a living room design for a new client. 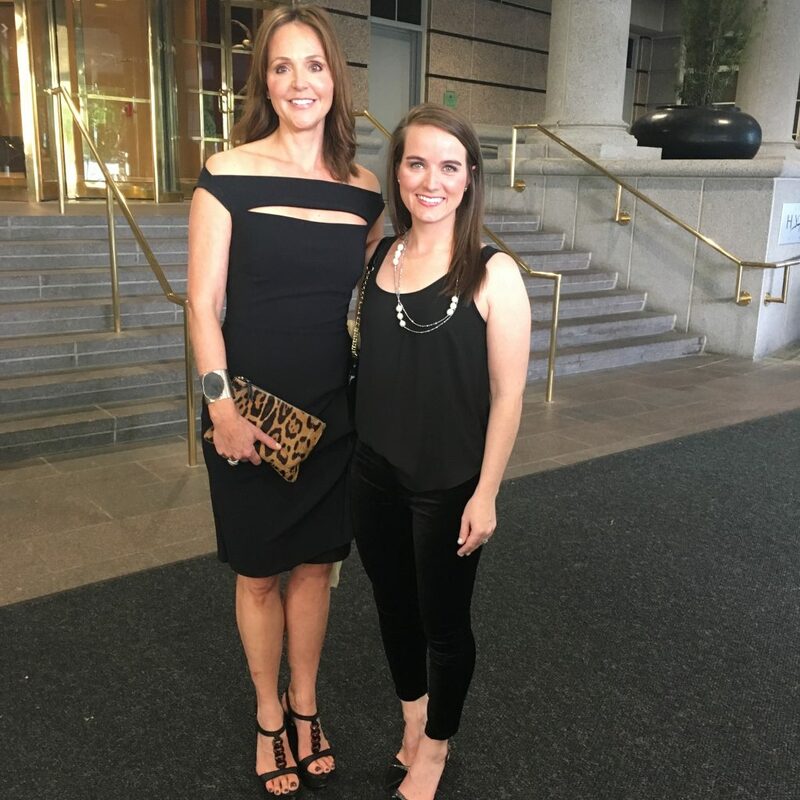 I then headed back to Atlanta for Design ADAC and for the Southeastern Designer & Architect Awards. The Design ADAC panels were awesome as expected. I especially loved the one with the Editors of Veranda moderated by Carolyn Englefield. I think I could have listened to Lisa Newsom’s stories from the past all day long. 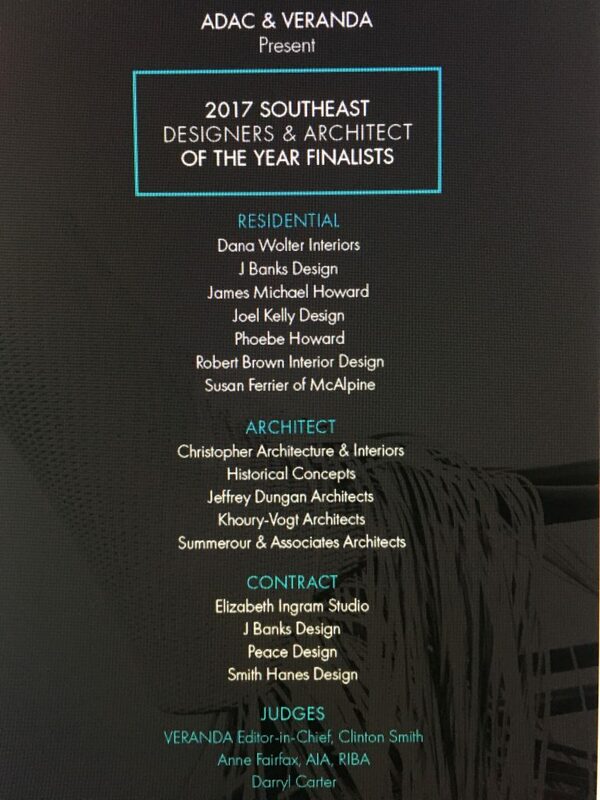 As I wrote here, I was thrilled to learn we were a finalist for the ADAC & Veranda 2017 Southeast Designers & Architect Of The Year awards. 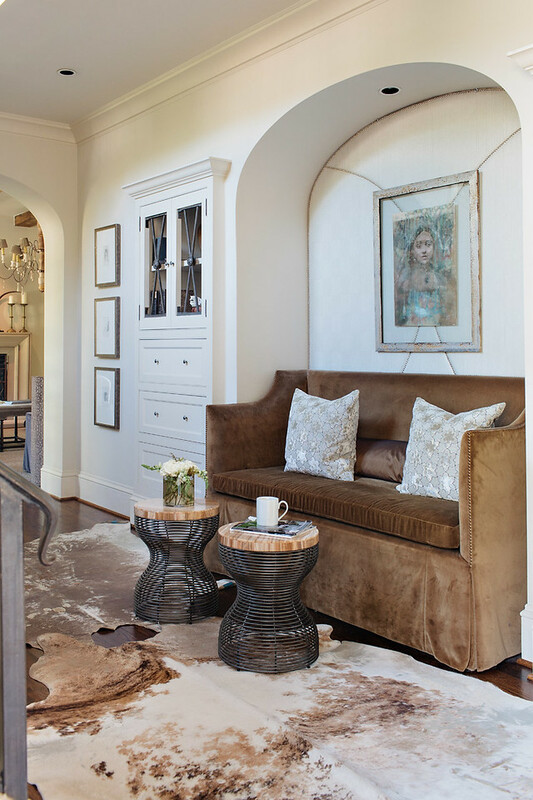 Phoebe Howard took home the Residential Designer Of The Year award, and my Birmingham, AL, friend, Jeff Dungan, took home the Architect Of The Year Award. I have to give my team a huge shoutout. They held down the fort while I was in and out of town, and I truly could not do all of this without them. They are the BEST, and I am grateful for each of their gifts that they bring to our firm. I loved being in Atlanta this past month, and always said that if I didn’t live in Birmingham, Atlanta is where I would hang my hat. Not sure my husband would comply, but I can work on him…..
And while I have worked on projects in Atlanta in the past, I would love to do more work there. If you have a project and you like our style, reach out to us. I am back in Birmingham for a few weeks before I head out of town again. I plan on catching up on work and cleaning my house :). If I am lucky, my hands will end up in the dirt planting a few things this weekend. Stay tuned as we keep you filled in on some more exciting news…. Are you ready to leave behind the stress you find in your surroundings and create a healthy, happy life that begins before you walk out your front door? 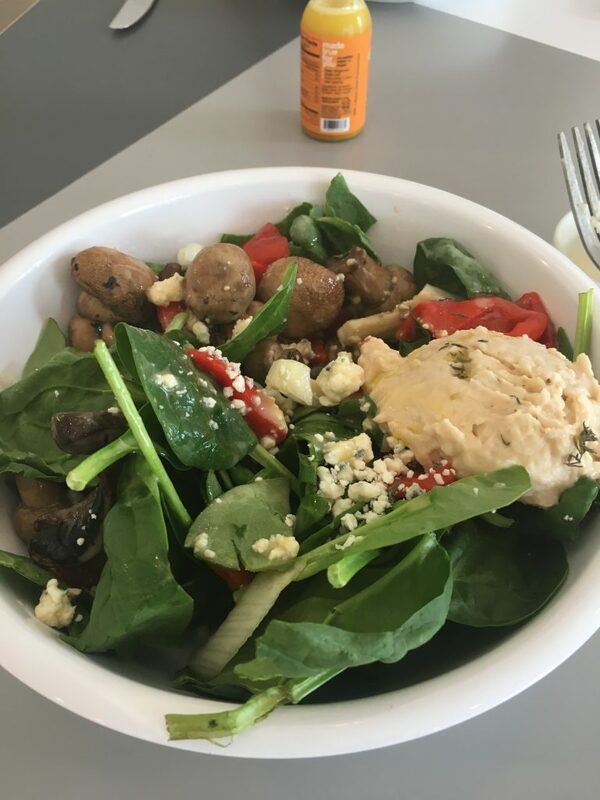 Think about it… If you try to eat healthy, exercise, get good sleep, does it make sense to spend the majority of your time in a a space that is cluttered, dark and disorganized? A healthy lifestyle is one that encompasses all facets of your life, not just a few areas. Don’t get me wrong…..There are days when your house is going to be a mess. I have had people in and out of my home quite a bit lately, and with the holidays, mine is now. Too many children pulling things out and not putting them up. But the difference is that when you have a mess in a healthy home, it is because things are out of their specific place versus having things randomly lying around and piling up. Take a step back from your home and make an honest assessment about how your home makes you feel. Does it bring your joy and peace? Organize your home so everything has a place. 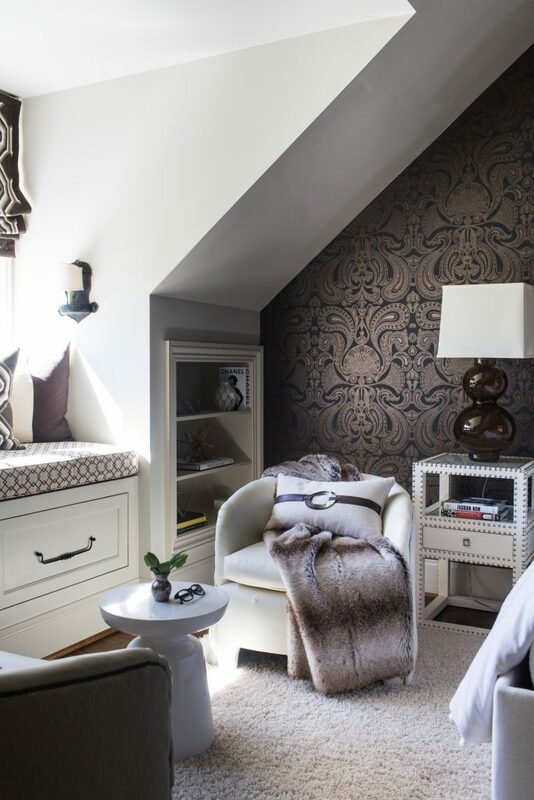 Incorporate hidden storage where you can create a visual calm and store alike things together. You would never know it, but the hidden door under my stairs allows for all kinds of storage for my family. 2. Find a Purpose for every room in your home as no room should serve as a “walk-through” or a room used once or twice a year. Then take a step back and assess the items in each room. Do they bring your joy or are they useful? If neither, it is time to give them away or throw them out. This may also mean switching rooms around, or changing how the furniture is arranged in a room. Take this room in this cottage below that we worked on a few years back. It was a walk-through room, a catch-all, and the it was the largest room in the house. By changing the type of furniture placed in this room, we were able to create a place to sit and relax, play on your phone, read a good book, etc… The chaises draw you in to sit and stay for awhile. 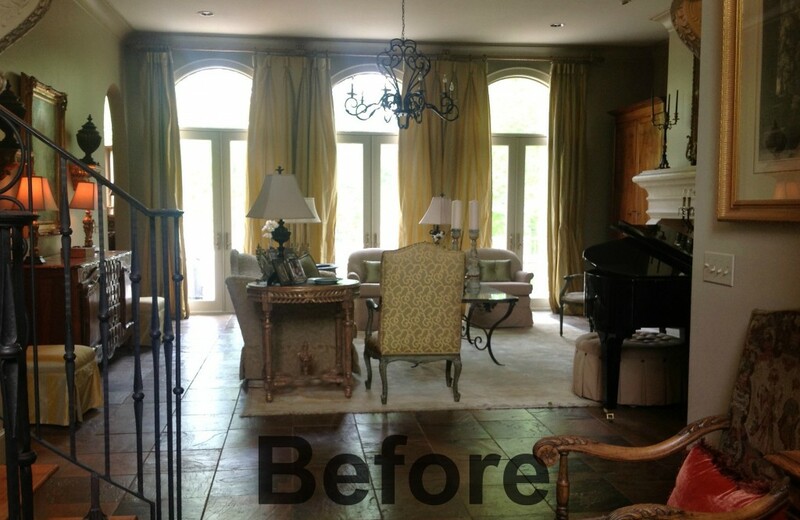 You can see more Before and After of this house from this previous post here. We did the same thing with this home. 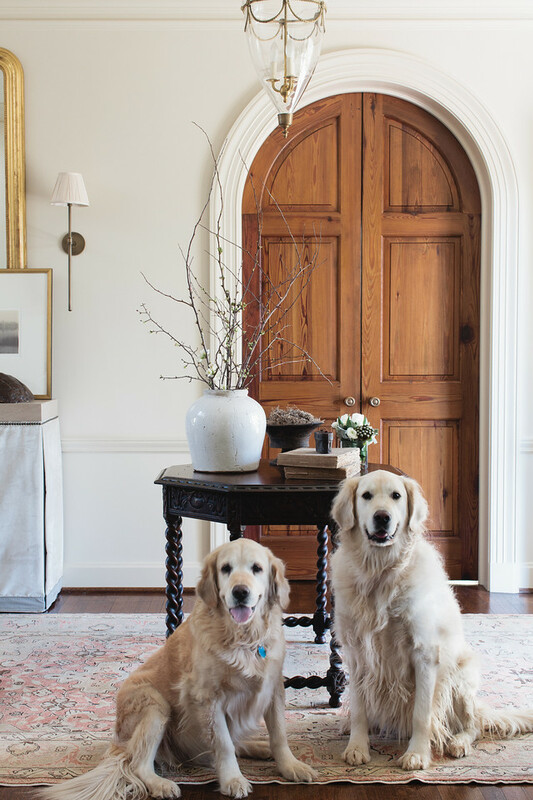 The biggest room in their house was the “walk-through’ room. It was rarely used while this family of seven used a small sitting room off the kitchen to watch tv. What you can’t see in this picture is that we tucked a television on a side wall that can be pulled out when needed. Our goal was to create a family-friendly space for this family to enjoy while keeping it formal enough to serve as a living room if needed. Mission accomplished! 3. Find a Balance with how your home flows and functions. Your home should work well for everyday living and be able to transition to host a party when needed. 4. What makes you smile and bring your joy? 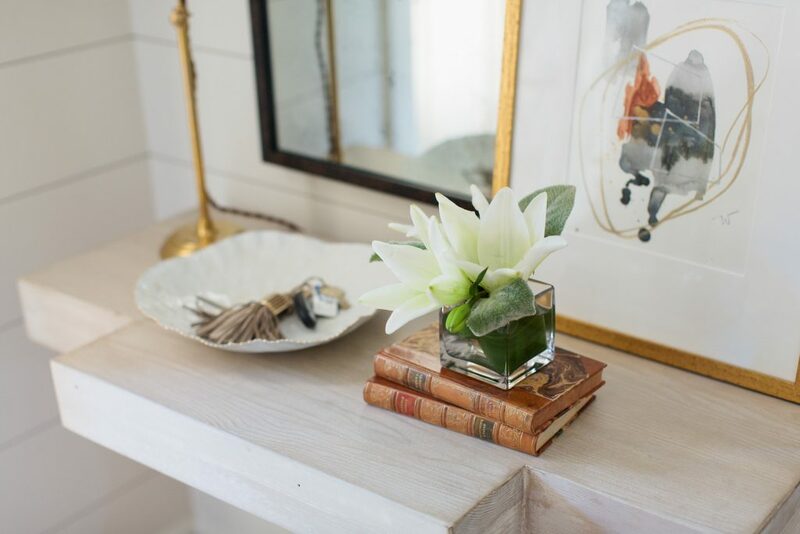 Whether it is a sparse room, layered objects, bright colors, or a wall filled with books, use discernment in adding these touches to your space. Find ways to add what makes you smile to bring you Warmth and Joy in your house. If you need help into turning your house into one you love, reach out to us here. We would love to hear from you.